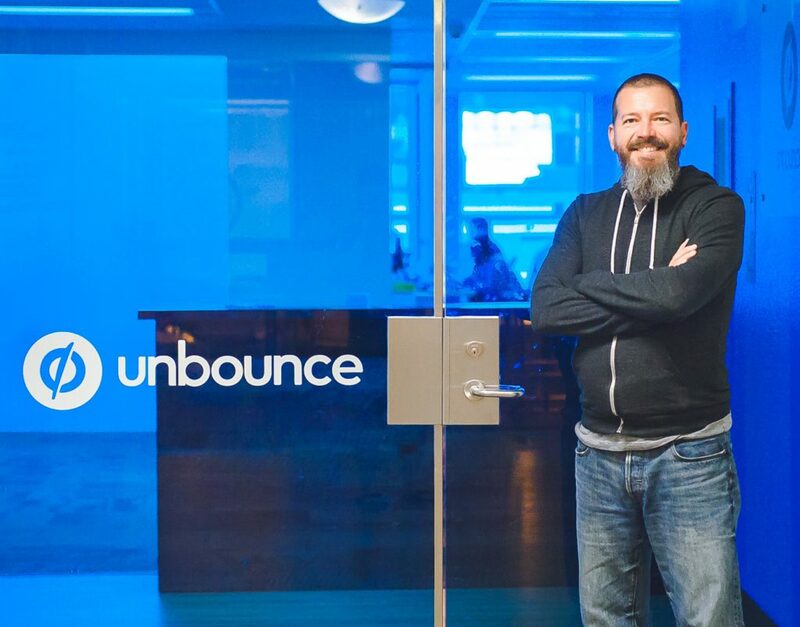 When you speak with Unbounce’s Co-Founder, Rick Perreault, you may find yourself wondering what his secret to success is. He and his business partner, Oli Gardner, helped push the $62 billion dollar digital marketing industry into the mainstream. It’s no wonder that they’re considered thought leaders in BC. Less than a decade ago, Unbounce took landing pages from buzzword concept to practical tool. The software made it easy for people to build and A/B test customizable landing pages, without requiring a technology background. By pulling down this barrier for the small to medium-sized market, smart marketing became more accessible than ever. So what’s his secret? When asked, this entrepreneur blames obsession. That is, an obsession with providing his customers with a great experience. Rick’s dedication is clear, and it’s hard not to hang off every word. We spoke to Rick to uncover the best strategy to get your way, why he risks losing out on profits and free resources that will help you grow your business. What were the top four factors of Unbounce’s start and growth? 1 – Leadership – Point people in the right direction and get out of their way. 2 – Communication – Honest and transparent, 100 per cent. 3 – Marketing – We based the business on content marketing. We launched the blog the day we founded the company, but it would be another six months before we had some sort of product. It made it possible for our customers to find us. 4 – Technology – We don’t take shortcuts. We’re building real technology that our developers are proud of, and they can go out into the development community and talk about it. That’s super important to motivate our really talented development team. What free tools helped you the most? Meetups, for sure. I got out and talked to other entrepreneurs. It’s amazing how much people are willing to help if you’re just open, honest and transparent about your business. Entrepreneurs really want to help one another. For social media, Twitter is certainly one that I spend most of my time on. That’s where I get my research. I build relationships on Twitter. There’s definitely a huge startup community and it’s pretty easy to find. They’re active and they share lots of great information. How do you stay true to your vision, even when you risk losing out on profits? Staying focused is really a challenge for everyone, and quite frankly, I’m not sure if we’ve overcome it. Someone can come along and want you to go left when you’re trying to go right. It’s so easy to be tempted when you don’t have any money or if you’re not sure if you’re going to be able to pay yourself. We’re constantly reminding ourselves of our mission. Was there a major moment of doubt? How did you overcome it? There was a pivotal moment early on for us. When we first came out, there was no one else that was doing what we were doing. We weren’t disrupting a space; we were defining a new category. One day, I saw an ad and I thought, “Oh, a new Unbounce ad – but wait, that’s not our Unbounce!” We had a new competitor going after the same piece of the market we were. We were nervous and could have easily gone and copied everything they were doing, but we didn’t. We charted our own course and stayed true to talking to our customers. It’s what allowed us to continue to stay an industry leader, as opposed to a follower. What’s essential for entrepreneurs to know? Understand your customer. Talk to that potential customer. They were really able to focus on why they’re building something customers will pay for. Focus on the pain that you’re solving. Understand the pain, understand the customer and obsess about that. I think that’ll give you a good shot at success. What’s the trick to great content marketing? We don’t gate our content so anybody can access all our content on how to do online marketing, from the very basics to the more advanced. What that has done is provide our customers, our potential customers and people who may never become our customers with a reason to talk about us. Someone may become our customer because they heard that conversation and enjoyed our content. That’s been hugely valuable to our growth. Your latest achievement is becoming a Hubspot App Partner. What’s your business development secret? Whatever we propose to a partner, it has to be so awesome that it makes it hard to say no. And we work really hard to make the partner’s experience just really awesome. Make sure to check out the Unbounce Call to Action Conference # #CTACONF on June 19-21, 2016 in Vancouver. Sign up now, as space is limited!